“High-quality Smart televisions don’t need to come with a high price tag,” said Sergiy Bobrovnychyy, Product Manager at Kogan.com. “From today, we’re setting a new pricing benchmark with a new range of even better value Smart TVs. Kogan.com’s newest Smart TV range is packed with all the great features you would expect in its closest competitors. The new range introduces four new TVs to the resellers online storefront. The Kogan 43”, 49” and 55” Smart HDR 4K LED TVs feature high-quality 4K Ultra HD LG panels. They are available for pre-sale for $439, $499 and $559 respectively. 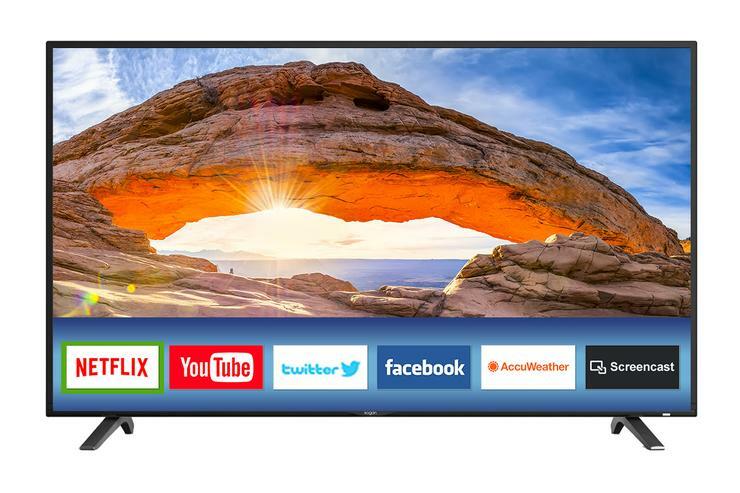 For those that are looking for a great quality Smart TV at an even more affordable price point, Kogan has also released the Kogan 32” Smart LED TV available on pre-sale for $299. The new TV range also allows for screen mirroring, so you can mirror your mobile device's content to your TV screen without the need for any cables. “We are proud to be able to offer Australians even more affordable options on a range of products, from laptops to mobile phones to TVs. TVs are our flagship product range and we’re excited that the everyday Aussie will be able to enjoy the latest technology in their own homes, at more accessible price points,” added Mr Bobrovnychyy. The new Kogan Smart TV range is available exclusively for pre-sale at kogan.com.